Food poisoning occurs when an individual consumes raw or cooked foods which contain indigestible bacteria or those parasitic in nature, or are comprised of ingredients which are otherwise harmful to humans. While certain foods are more susceptible to carrying harmful bacteria, any food item can cause food poisoning if it has been contaminated. There are many causes of food poisoning, some of which are completely accidental and others which result from negligence. If you or someone you love is the victim of food poisoning it is important to contact an experienced San Diego food poisoning attorney with a successful track record. Primarily, food poisoning occurs in raw or undercooked foods which, if cooked, would have no longer been contaminated or dangerous to eat. Eggs, poultry, red meat, and seafood all fall into this category. Another leading cause of food poisoning stems from unhygienic cooking practices which spread contamination from raw food to cooked food, leave foods undercooked, or contaminates cooking water. A third cause is when a food source, cooked or raw, has been contaminated by an external bacterium that infiltrates an otherwise safe food item. The latter two causes can affect virtually any type of food. Estey & Bomberger San Diego injury attorneys understand all the different circumstances of food poisoning cases and will help you protect your legal rights if you are ever the victim of food poisoning. E. Coli: Reputed as the most common type of food poisoning, E. Coli affected more than 10,000 Americans in 2013. This type of food poisoning can be sourced back to poultry, leafy greens, and ground beef, among other foods. Symptoms include bloody diarrhea, stomach cramping, nausea, and vomiting. Salmonella: 7,800 cases of Salmonella are reported annually, and in 2013, 33 deaths were caused by this type of food poisoning. Salmonella is most closely linked to raw eggs, soft cheeses, certain meats, and spoiled milk, but it can also be tracked back to other foods. Symptoms include nausea, fever, chills, headaches, bloody stool, and/or diarrhea. Campylobacter: Most common in poultry, this type of food poisoning affected 7,000 Americans last year and was the reported cause of 6 fatalities. Bloody, watery diarrhea and severe, debilitating abdominal cramping are the primary signs for this food poisoning type. Listeria: Primarily caused by vegetables or meat sources which have been contaminated through manure or pesticides, Listeria is one of the less common types of food poisoning. For pregnant women who develop Listeria, symptoms may appear as flu-like. However, for other individuals, symptoms will feel much more severe and can include convulsions, loss of equilibrium or balance, effects to consciousness and uncommon bodily stiffness, in addition to the usual flu-like symptoms. Some individuals who contract Listeria suffer extenuating hormonal effects as well. One in six Americans, or 48 million people, experience sickness as a result of food poisoning. However, feeling ill is only part of the problem with food poisoning. 128,000 individuals are hospitalized for food poisoning each year, and fatalities do occur – approximately 3,000 annually. The symptoms of most food poisoning cases result in fatigue, dehydration, loss of blood, and more. Further hospitalization and treatment of food poisoning or food-borne illnesses can be expensive. Medical bills can pile up, and especially in the case of contraction from a restaurant or other at-fault source, a lawsuit may ensue. Food poisoning can be especially dangerous for children, elderly individuals, pregnant women, or any person who suffers from immune system deficiencies. If you have suffered from food poisoning as a result of someone else’s negligence, you may be able to recover damages for your medical bills and suffering. Estey & Bomberger attorneys specialize in food poisoning cases and have years of experience with clients like you. 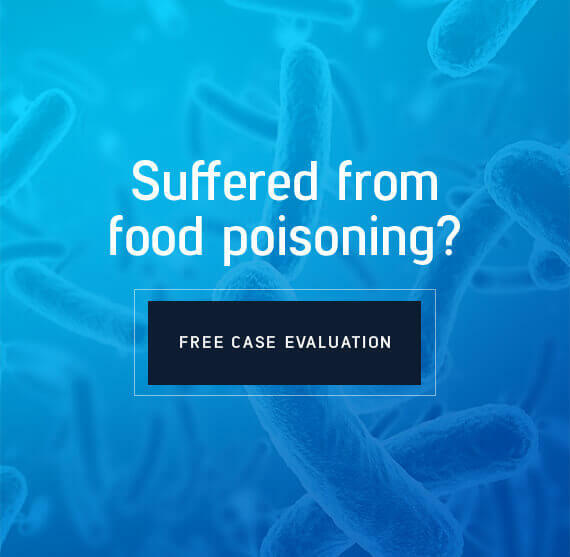 Trust the expertise and reputation of Estey & Bomberger San Diego food poisoning attorneys to protect your rights and help you receive what you deserve. Contact us today to discuss the details of your case and to determine the most plausible course of action.